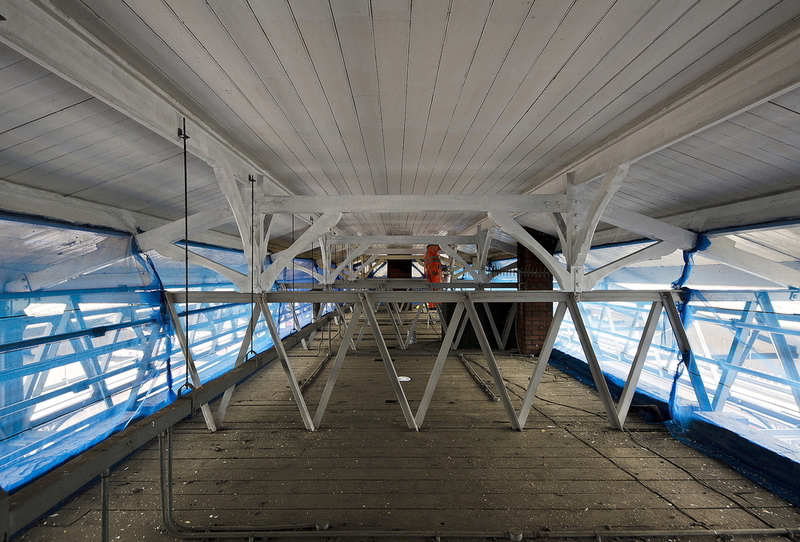 VEDA Associates were employed by Spence to carry out the Form B refurbishment design for the Grade 2 listed canopies on platforms 1-5 at Salisbury Station. Work included the timber assessments of primary/secondary members and specification of replacement members as well as specifying timber grouted repairs to timbers that could be salvaged. The existing valance boards were replaced with individual GRP dagger/valance boards, acceptance by Network Rail and Wiltshire Council. Surveys were conducted on the canopy, platform and track drainage. Remedial designs were proposed for all drainage elements which had caused a substantial amount of the defects to the timbers.